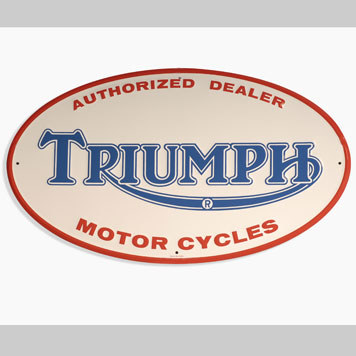 This is an oval Triumph Motor Cycles porcelain sign. This particular Triumph Motor Cycles sign is white with red and blue text. It reads, “Authorized Dealer, Triumph Motor Cycles” and features a thin red border.